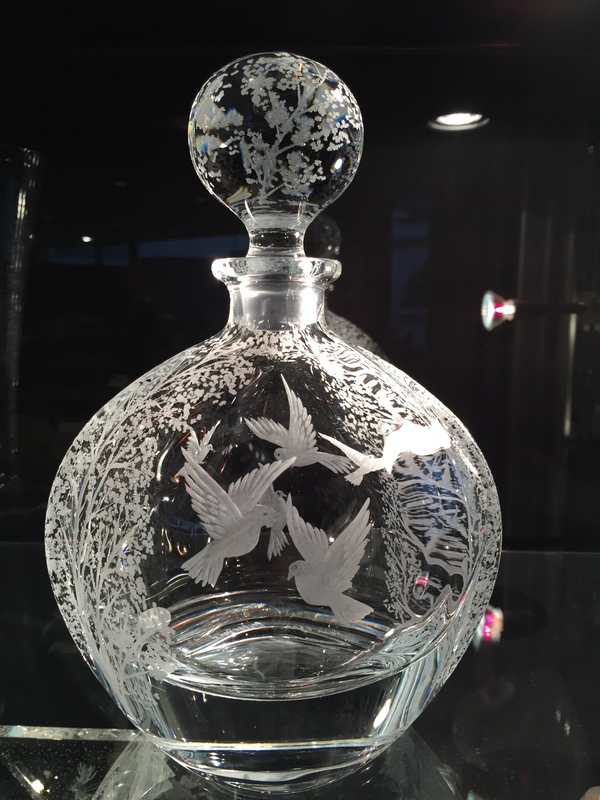 Stemware & Barware: "Doves of Peace"
Description 10" Crystal Decanter. Seen here with Dove's of Peace design. This decanter is suitable for a large range of designs. Can be personalised at no extra cost.